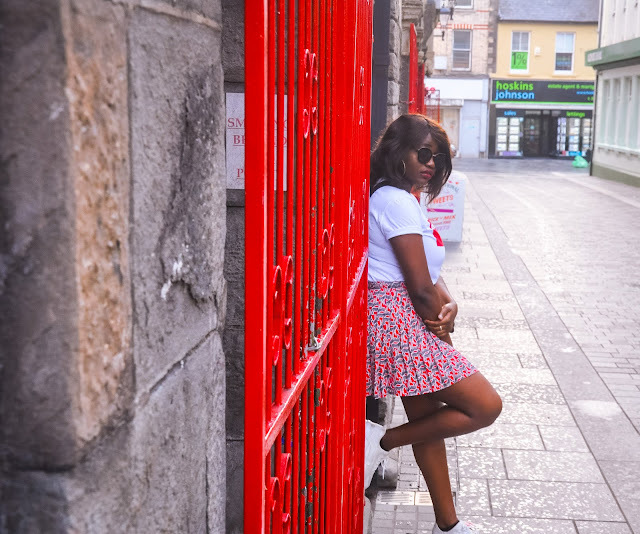 I hope you've had a lovely and fruitful week. I'm glad to be back after a very long and much needed break. I'm even more excited to be sharing with you something that I consider a personal struggle...fleeky eyebrows!! In the course of learning how to do my own makeup I have suddenly become very obsessed with eyebrows. Every time I flip through Instagram I keep lusting after someone’s perfectly done eyebrows. And amazingly they’re of different shapes, sizes and also vary in color intensity, it’s so wonderful. So in search of the perfect eyebrows for my face I came upon this little guide which makes general sense, however if you like your brows however they are. Girl you do you!! Disclaimer: I am not a makeup artist or certified beautician. These tips are merely for personal reference for those who are attempting to do their own make-up. This face usually has a wider forehead with prominent cheekbones and it tapers towards the chin. In other words it the perfect face because we contour ourselves to achieve this illusion. For people with this type of face the goal is to maintain its ‘ideal’ shape. So the brows are preferably supposed to be soft angled nothing like upside down Nike logos or so. This face shape is generally elongated and gracefully tapers towards the chin and some individuals have a prominent chin. The goal for such faces is to make it appear less elongated hence the eyebrow shape will be flat. The horizontal ‘line’ of the eyebrow will give an illusion of a shorter face by “stopping” the viewer from seeing the elongated face. This face has a width and length of almost similar measurements and is usually widest at the cheeks. The goal is to make the face appear longer therefore the preferable shape of eyebrows is a high arch. The arching lines will draw the viewer’s eye up and down therefore making your face look lengthy. Do avoid rounded brows as they make your face look rounder. The forehead, cheekbones and jawline are almost of the same width. The face is generally square/ boxy and the jawline is a prominent feature. The goal is to soften the strong jawline hence start with a curved eyebrow shape then add more angle to create the balance needed. The stronger and bony a jawline is the more angled the brow shape. The face tapers strongly tapers toward the chin making it pointy. The forehead maybe a prominent feature. The goal here is to soften the pointy chin. Depending on how prominent the forehead is begin with a low arch, round curved brows then add more volume to it as it adds more length to the forehead as well as balances the pointy chin. This type of face is quite uncommon compared to the others. It is very angular and somewhat bony with the temples being the widest part of the face. The goal is to soften the whole face and make the temples appear less wide. Curved eyebrows will soften the angled face and reduce the wide appearance at the temple area. 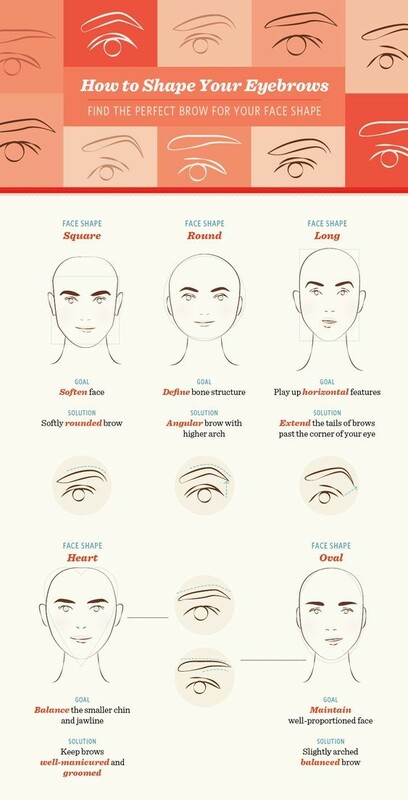 I hope this little guide will help you in your adventure to find the perfect brows. Thinking back I just realized that I’ve had all sorts of eyebrow shapes on my face. What is your most funny eyebrow situation/struggle story? Share with us on the comments below. Thank you for visiting my blog, have a lovely weekend. This is very helpful, good post! Thanks for sharing. I'm following you.